Here it is, the long awaited third installment to our Back to the Questionable Integrity series. 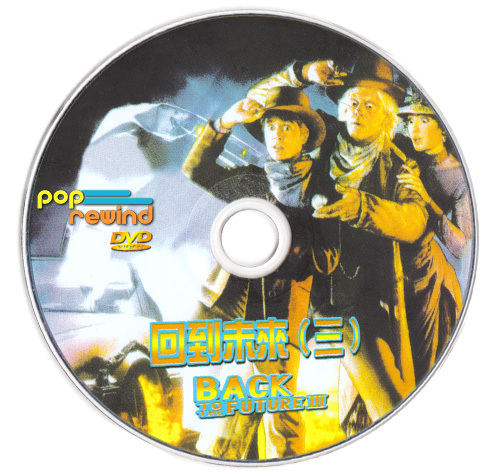 As you learned from part one and part two at Pop Rewind, there is something fishy about these Back to the Future DVDs. 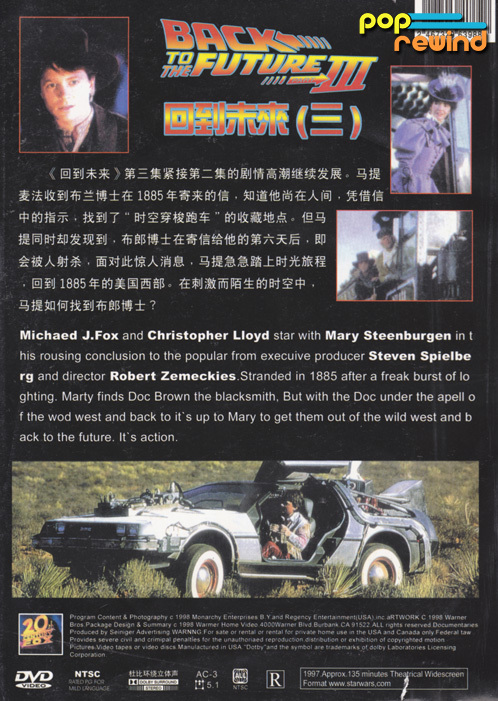 Let’s take a closer look at the third film! The front cover is relatively correct this time around. Still, there are some clues as to the legitimacy of this package design. Most notably, the appearance of the 20th Century Fox logo. Hmmm, I thought this was a Universal picture. Okay, now we are back in familiar territory. The back cover has it’s share of typos and incorrect information! 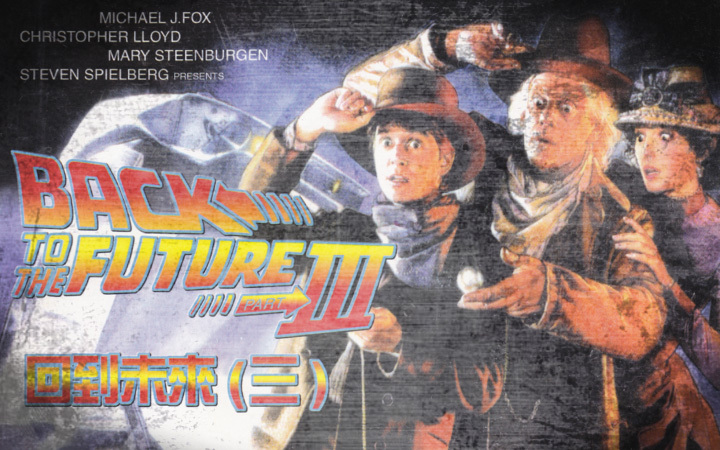 The disc artwork really gave the designer of this set an opportunity to express artistic talent by working in a new variation of the Back to the Future logo. 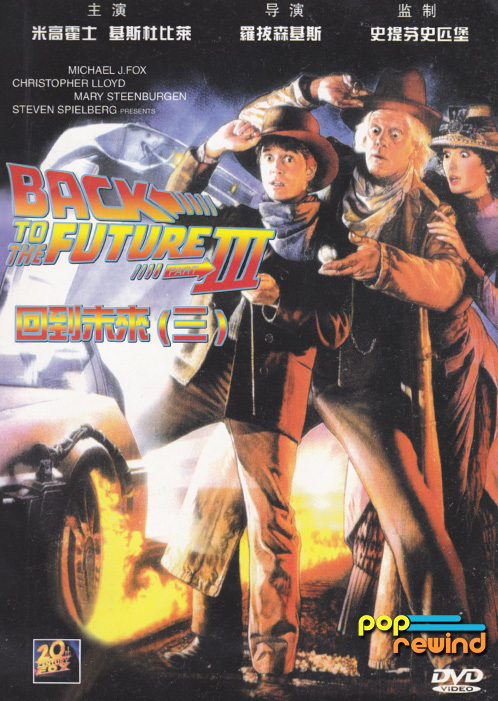 Wait a minute, isn’t the title of the movie officially Back to the Future Part III? Oh, well!